Chances are that you have heard about the Harry Potter themed bar in Canada. Located in Toronto, Ontario, The Lockhart is a cozy bar that is guaranteed to excite any Harry Potter fan. 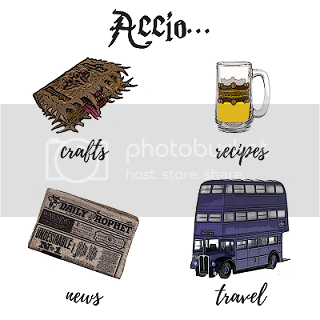 With lavish Harry Potter themed drinks, adorably named Harry Potter items on the menu, and amazing decorations to scope out in every direction, The Lockhart is a must for every Potterhead. The drink menu at The Lockhart is full of a bunch of loosely based Harry Potter drink names. Among them are “Better Beer,” “The Shacklebolt,” “Ludo’s Debt,” and “Gin Weasley.” It is pretty fun to go through the menu and see how many you can spot upon arrival! I ordered a pitcher of Better Beer and an Obliviate. You might notice that the Obliviate is not on the pictured menu; hop down to the tip section below to read about this! The Lockhart serves small plates as opposed to a full menu. The menu again was full of food with names to remind you of Harry Potter. I ordered 2 “Chocolate Toads” and a plate of something along the lines of “Dragon Roasted Chicken” (wish I could remember its actual name!). The chicken was so delicious- I highly recommend it! The Lockhart has plenty of decorations to give you all of the Harry Potter feels! Behind the bar is their Potions & Elixirs shelving. Take a close look at the photo below and see how many Harry Potter decorations you can spot! There is another set of shelving that contains more Harry Potter goodies, an awesome set of Dobby portraits, and my favorite- a lighted “all is well” sign. Perhaps my favorite thing about the bar was the bathroom. Yes, you read that right, the bathroom. The walls of each of the bathroom stalls is made of chalkboard paint and Potter fans have written quotes and inspiration all over the walls. Definitely come to The Lockhart as early as you can. They open at 5pm every night except for Monday, when they are closed. The bar filled up quickly so be sure to get there and grab a table! Bring chalk with you! There are chalkboard walls in the bathroom to write on, but there is no chalk provided. Check the drink menu online before arriving. As mentioned above, I was able to try the Obliviate drink which is not on the menu. This is because I found the drink on their online menu and they had not adjusted their bar menu to show that it was available yet. Look around! There are tons of Harry Potter goodies around the entire bar and all the way up to the ceiling. See how many you can spot while there!